Video game sales outpace movie box office sales...by a long shot, and for a while now ($24 billion to $10 billion, most recently). If you needed an indicator on the strength of the video game industry, there you have it. Such a staggering sales figure is understandable, especially for those people who have been sucked in by a game in one form or another. From Duck Hunt to Monkey Island and other retro titles, to Super Smash Bros., FIFA, mobile games, and more. It's so easy to turn on and tune out. And when you think about all of the different efforts required to create one single game, that game's "stickiness" really is a joint effort. Design, graphics, storylines…the sheer excitement of completing a mission, scoring a goal, or just enjoying overall functionality. With so many elements (and technology and graphics that are only getting better by the day) it’s hard not to be enamored by most of the titles on the market. My point is that for some of you, those countless hours and pure emotion poured into your consoles or PC haven’t been wasted (yes mom, it's true!). 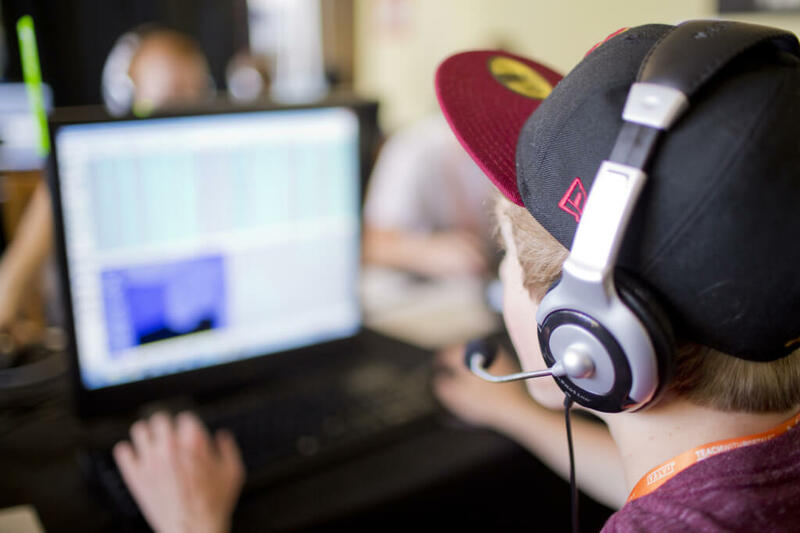 I'm sure you've pondered the simple, yet oh so complex question: “how do you make a video game?” And even longer-term, "How do I become a video game designer?" But you know as well as I that as soon as the words pass through your brain, the quizzical floodgates open; more questions spreading across your mind faster than a prairie fire with a tailwind: “what do I need to know to make a game, what skills are required, where can I learn such skills, what colleges offer the best programs, can I use these skills in an actual career, can I use these skills in a lucrative career?”—and thousands of others. Deep breath. The important thing to know is that you want to pursue a career in video games. Knowing what one wants to do when they grow up still escapes many adults, even. So, I can say that you're on the right track. Well, a bit of additional good news. Coming to such a realization that you want to become a game designer doesn't mean you need to stop playing video games and immediately devote your game brain to designing instead of playing. In fact, you might want to start playing more, only using your gaming time to observe games in a different light. There is still plenty of value in simply playing games. Who said it? Eric Schmidt, who at the time was the CEO of Google. What does it mean? Well, he thinks highly of the game world, but also, it’s good training not just for a job in the game world, but for anything tech. I think that warrants me continuing to demystify how you can begin exploring a career as a professional game designer. It's a great question due to the overlap in terminology and required job skills. So, quick exercise. Take 20 seconds and name every single career position associated with making and selling a video game you can think of. What’d you come up with? Animator, artist, tester, designer, developer, programmer, producer, financer, marketer, seller. From these, which are different? Sure, you know the difference between a marketer and a tester, but what about the difference between designer and artist? Developer and programmer? Not to mention that with quick-shifting trends towards indie games, casual games, social networking games, and games for handheld devices, the barriers for creating, publishing and distributing games digitally have been removed considerably in recent years. Now, a single person can not only think up, create, code, and publish his or her own games, but he or she can also achieve commercial success as well. Cool. What Else Should I Know? Well, there are quite a few more points. But, instead of having to put up with my ramblings, take this: How to Become a Professional Game Designer. It’s an eBook. And it’s free. And you can download it right now with just the click of a couple of more buttons. In it, you will find 10 steps to becoming a game designer…and you’ll be happy to know there is plenty of encouragement to keep playing games! Click the link above or below to download your copy. Oh, you've already read the eBook and want more? Consider a game design class or any of our other related tech courses. And good luck!